Cllr. James Lowery Capstick R.I.P. | Curly's Corner Shop, the blog! Cllr. James Lowery Capstick R.I.P. I was much saddened to learn today of the passing of my former Progressive colleague Jimmy Capstick, it seems such a short time ago when we were all gathered in the Town Hall in South Shields to commemorate his long service to the Borough of South Tyneside and install him as a Freeman of the Borough. Jimmy devoted the major part of his life to serving his constituents and promoting the virtues of a non political opposition to the local Labour Party in the form of the Progressive Association, a body which had stood the test of time for over 50 years. I first met Jimmy in around 1976 when I attended an interview in a dingy basement office in Beach Road, then belonging to the late Harry Marshall, where I was interviewed by a panel looking for prospective Progressive candidates which also included Eddie Russel, George Wilkinson, the late Maurice Piggott, along with Jimmy and Harry. I was struck then by Jimmy’s warmth and humour as well as his devotion to the people of South Shields, and the pride that he had for his home town. Since that day, I have only ever knew him as an honest, honourable, hard working councillor who has been ever present apart from a break of one year in 1990. It is quite remarkable that this outwardly unassuming man should have been so popular with those that he represented that they continued to give him their support over such a lengthy period of time, he will be a very hard act to follow indeed. He was also a family man with a huge admiration for the achievements of his children and grandchildren, it was only a couple of weeks ago that I was at Jimmy’s home to present him with some family photographs but alas he was too unwell to receive visitors that day. Added to the respiratory problems that he had suffered in recent months he also suffered a heart attack over the Christmas period and his wife Elmer, ever present and caring, was intent on nursing him well. Jimmy will be missed by many, particularly amongst that small band of Progressive activists who cling to the values that he extolled, but also by the many who came to meet him in daily life as he represented them at the town hall and did his level best to ensure that grievances were put right or problems ironed out. He will be missed in the council chamber for his sage advice and knowledge, and for his calming influence in those heated moments. 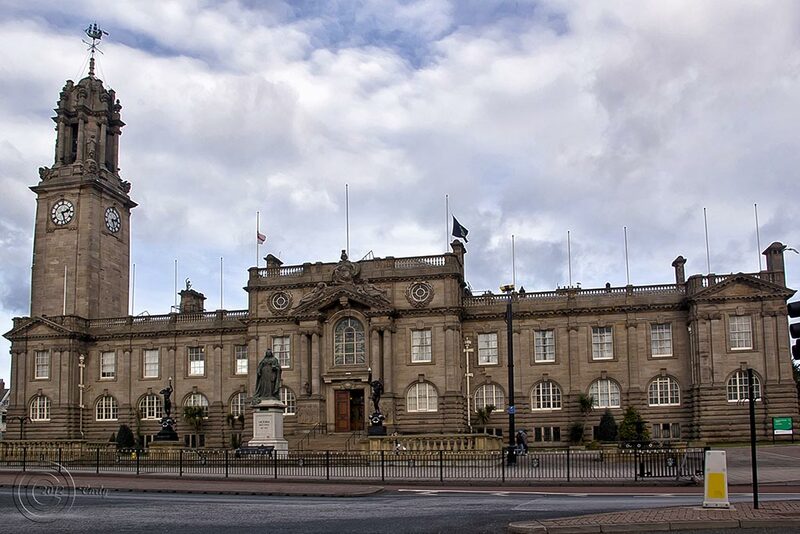 Council Leader Iain Malcolm has been very magnanimous in his choice of words and actions in recent months, recognising his opponent in a way which would have been unthinkable twenty years ago, for that, I think we should all be grateful. « Splott is not South Shields!